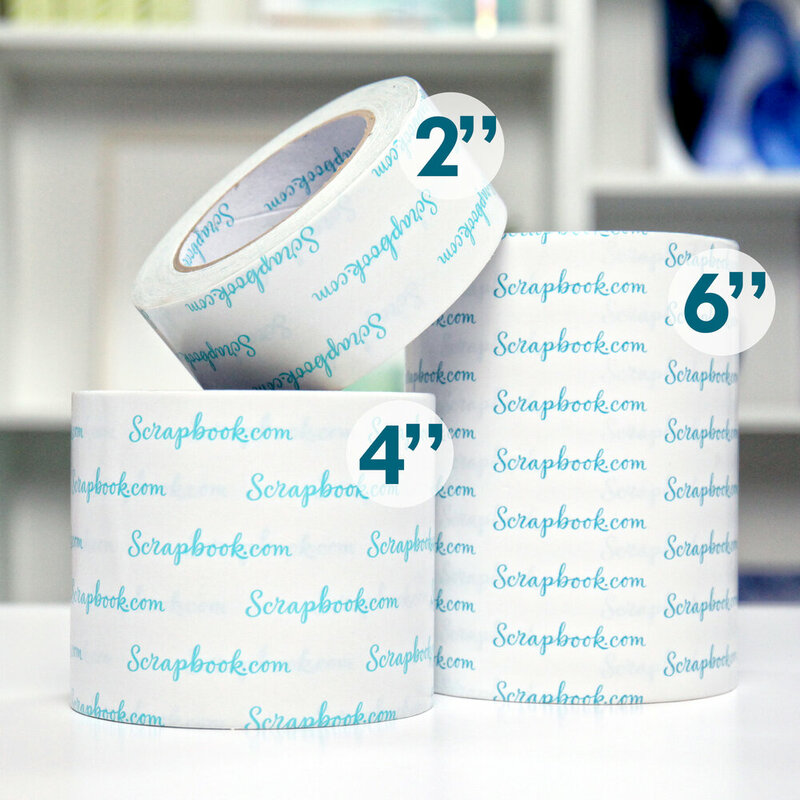 If you are a crafter, you will want to have the Clear Double Sided Permanent Adhesive Roll by Scrapbook.com within arm's reach in your craft room. 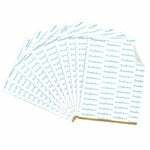 This Scrapbook.com Exclusive adhesive is ideal for your die cutting, glittering, embossing or foil leafing projects. 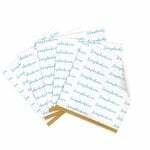 It offers a strong hold on your cards, scrapbook pages, tags and other crafts. 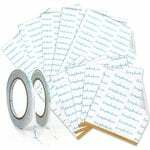 The permanent adhesive is so versatile that you’ll find many uses for it in your home, office, school or at a crafting event. 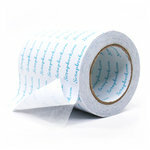 The Scrapbook.com Clear Double Sided Adhesive Roll is acid-free, archival, and heat resistant! It even works with heat laminators or Minc machines (sold separately) without melting the adhesive. So, whether you’re a veteran crafter or a beginner, you’ll fall quickly in love with all the crafting possibilities that you will explore with this adhesive. Exactly what I was looking for. So much better and easier to use than big sheets. Cheaper in the long run. I love creating cards with stamps and matching dies. I stamp on a 6" x 11" sheet of paper and use this roll to add adhesive to the back of my stamped sheet. When I use the coordinating dies to cut out my images I have quick and easy stickers ready for any card, layout or mixed media project. It saves me a TON of time and no more wet glue messes! The roll lasts a long time too. I would highly recommend this product. I tried the tape the day it arrived. I’ve been using it with wafer thin dies to attach glitters and foils. It works great! The adhesive is super strong. I’m thinking or ordering a second roll to have as backup. I love this. I ordered the 6” size which is perfect for my card making. Great product! I love this double sided tape. Just right for my die cuts and plenty of it. Won't have as much waste as with 8.5 x 11 inch sheets. This tape is really nice for card making. Great price at half off. Hope they run this special often. Excellent quality & good value for money! I ordered 2 of these rolls. Each one has 81 feet on it and is 6 inches wide. It is perfect for running through my Xyron Create a Sticker machine or cut die cuts with my Big Shot machine. I love this size of roll because it will allow me to cut even very large dies and make large stickers in my 5-inch Xyron Sticker Maker machine. Highly recommend to all paper crafters..... I love it !! 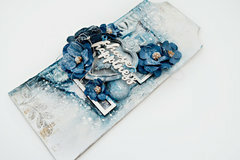 I create cards using various types of fabric. This adhesive saves me from using an iron on stiffener. Saves time and works wonderfully. How have I lived without this product in the past?!?!? This Double Sided Adhesive is an absolute dream to work with! The release paper comes off so easily. 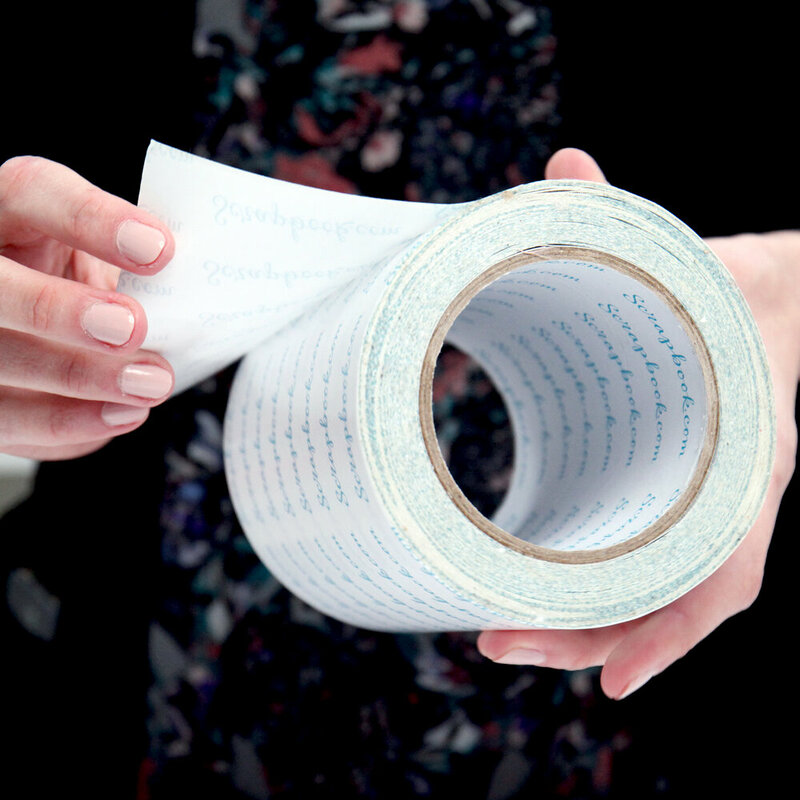 You don’t have to burnish it really hard like you do with the other adhesive sheets. This for me is huge as I always forget to burnish before removing. Sticky, it’s very sticky! I have definitely found my new favorite adhesive. I’ve replaced all of my Double Sided Adhesive sheets and strips (in various sizes) with the Scrapbook brand. This is an amazing product! Perfect for my project. The wide tape makes it so much easier to apply to the larger surfaces. Is this tape heat resistant? Can I use it with embossing powder? By: imcraftee (06-Jan-19) Helpful Question? Yes | No Thank you! Report Inappropriate This question has been reported. Thank you! YES!!! The adhesive works great with embossing powder. As long as you don't leave the heat tool too long in one place, it works beautifully. Keep your heat tool moving and you won't have any problem. It works with foil too, no heat needed. Deco Foil from Therm O Web works great with the adhesive. Hope that helps. By: Scrapbook.com (11-Mar-19) Helpful Answer? Yes | No Thank you! Report Inappropriate This Answer has been reported. Thank you! I'm sorry I can't answer your question, I've always heat embossed before using the tape. I'd try heating a small piece one some paper and see how it handles the heat. By: sher.g (08-Jan-19) Helpful Answer? Yes | No Thank you! Report Inappropriate This Answer has been reported. Thank you! Can the 6" adhesive be applied to the back of card stock & run through an electronic die cutting machine? By: Robinx (05-Aug-18) Helpful Question? Yes | No Thank you! Report Inappropriate This question has been reported. Thank you! Yes you can. I haven't used this roll of tape that way yet (haven't had time) but I use my rolled and flat adhesive sheets that way frequently. Some dies will cut all the way through, some will leave the backing intact, and you are able to adjust the pressure on electric cutters for a "kiss cut", like when using vinyl, so that the top material is cut but the backing is left intact. By: Wendy Loveland (07-Aug-18) Helpful Answer? Yes | No Thank you! Report Inappropriate This Answer has been reported. Thank you! Yes, you totally can! You will need to adhere your paper to the cutting mat with a little bit of removable tape since the backing on the adhesive is non-stick. That means it won't stick to your cutting mat either. A little washi tape on all 4 sides of your paper works great. By: Scrapbook.com (11-Mar-19) Helpful Answer? Yes | No Thank you! Report Inappropriate This Answer has been reported. Thank you! If you cut off a piece of this will it lay flat like a sticky sheet does? Thank you By: idtegacay (13-May-18) Helpful Question? Yes | No Thank you! Report Inappropriate This question has been reported. Thank you! Yes. I only used it several times and so far it lied flat for me. By: ngardley (15-May-18) Helpful Answer? Yes | No Thank you! Report Inappropriate This Answer has been reported. Thank you! Yes it does and i love this stuff! Just be aware that when you pull it off the roll one side is sticky and ready to be applied. By: idtegacay (11-Mar-19) Helpful Answer? Yes | No Thank you! Report Inappropriate This Answer has been reported. Thank you! Can the double sided adhesive be used to stick an acrylic rhinestone mesh trim on a pillar Candle? By: Awuor Wenwa (08-Mar-19) Helpful Question? Yes | No Thank you! Report Inappropriate This question has been reported. Thank you! It could possibly work in this capacity. However, there might be stickiness on the open parts of the mesh trim. You could try using some sort of powder to take away the stickiness though. Hope this helps! By: sbc-julie (19-Apr-19) Helpful Answer? Yes | No Thank you! Report Inappropriate This Answer has been reported. Thank you! 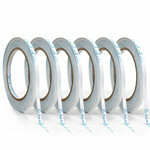 Will this 6" adhesive work with an electronic cutting machine such as the Cricut or Scan N Cut? By: SandyJScott (28-Feb-19) Helpful Question? Yes | No Thank you! Report Inappropriate This question has been reported. Thank you! We use it on both of those machines, after adhering it to the paper you wish to cut. 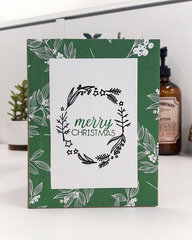 The only thing I will recommend is when you place your paper on the cutting mat, you will want to add a little washi tape to the sides of your paper to keep it from sliding while cutting. The backing paper has a non-stick surface, that means it won't stick to the cutting mat either. Removable tape works great to tack down the edges of the paper to the cutting mat and keep the paper from moving on the mat while cutting. Hope that helps. By: Scrapbook.com (11-Mar-19) Helpful Answer? Yes | No Thank you! Report Inappropriate This Answer has been reported. Thank you! Yes, but you would have to adhere it your Cardstock first. When you are rolling it off of the roll, only one side has a backing attached. By: Lopezdn (01-Mar-19) Helpful Answer? Yes | No Thank you! Report Inappropriate This Answer has been reported. Thank you! 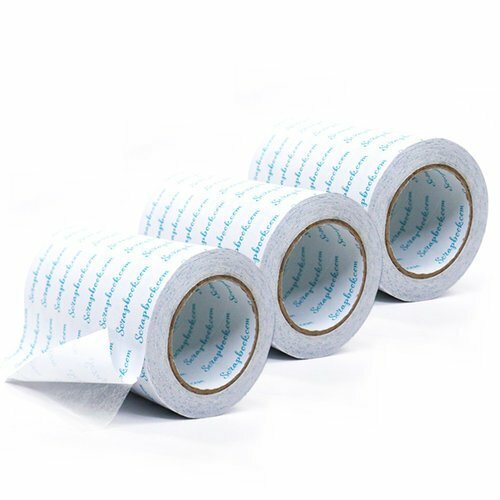 I purchased a roll of Scrapbook.com adhesive paper. I'm using it to cut detailed die cutouts for my Christmas cards, including words spelled in cursive. I can't remove the cutouts from my dies, but I HAVEN'T BEEN ABLE TO PEEL THE ADHESIVE PAPER FROM MY CARD STOCK! I am using good card stock. HELP! By: TerriinCA (06-Dec-18) Helpful Question? Yes | No Thank you! Report Inappropriate This question has been reported. Thank you! I'm sorry, but I can't quite envision your situation from your question. You say you can't remove the cutouts from the dies? Right? I've seen suggestions of putting a layer of wax paper between the cardstock and the die. And you also say that you can't peel the adhesive from the shapes that have been cut out. That can be tricky. I'm envisioning that you have finally removed the cutout from the die and are now trying to adhere it to your project. Do you have any kind of weeding tool? 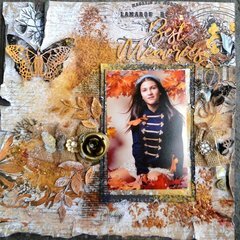 I have a small hooked tool that I use and Spellbinders has something that I think is called a Tool-in-one with a little brush on one end to clean some of the debris out of the dies and a nice point on the other end. It can be tricky to get find a spot to start the peel, but then it should come off well. I don't know if this helps at all, but I hope you are able to make something work for you. That big roll is an investment! Good luck. By: cricutkate (08-Dec-18) Helpful Answer? Yes | No Thank you! Report Inappropriate This Answer has been reported. Thank you! Thanks, cricutkate! Great advice. If those suggestions didn't work, you could also use the Sizzix Tweezers https://www.scrapbook.com/store/sz-661670.html to poke through the release holes in your dies. Most dies typically have tiny holes in them for allowing you to pop out your paper if it gets stuck in the die. I also use the same tweezers to release the backing paper for the adhesive. I have also cut dryer sheets with my dies to get the paper to release easier. It gently coats the die with an anti-static layer. I hope they gives you a few options to try. By: Scrapbook.com (11-Mar-19) Helpful Answer? Yes | No Thank you! Report Inappropriate This Answer has been reported. Thank you! Will this be strong and permanent enough to adhere a 36 gauge metal craft sheet to a wood panel to hang on the wall? By: marymccabe (25-Sep-18) Helpful Question? Yes | No Thank you! Report Inappropriate This question has been reported. Thank you! Unfortunately, I would not recommend using this to hang a panel on the wall. You might want to try some sort of liquid glue. Just a suggestion. I hope this helps:) By: Amber Boren (04-Oct-18) Helpful Answer? Yes | No Thank you! Report Inappropriate This Answer has been reported. Thank you! It is really strong but it would probably depend on how large the piece of metal is. The weight would be a big factor for whether it would hold or not. We have used it on both metal and wood, it does work on both but we haven't tried anything really heavy. Good luck! By: Scrapbook.com (11-Mar-19) Helpful Answer? Yes | No Thank you! Report Inappropriate This Answer has been reported. Thank you! 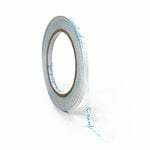 Is this a solid tape structured, adhesive or is it similar to the xyron (webby, stretchy mess)? By: cejtebeau (31-Jul-18) Helpful Question? Yes | No Thank you! Report Inappropriate This question has been reported. Thank you! 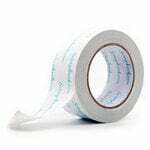 I love it, it is just like double sided tape only it's big enough for your die's that need cut. love it By: loishuffman (03-Aug-18) Helpful Answer? Yes | No Thank you! Report Inappropriate This Answer has been reported. Thank you! It is solid, and great to use with elizabeth dies and extra fine glitter By: beci55 (02-Aug-18) Helpful Answer? Yes | No Thank you! Report Inappropriate This Answer has been reported. Thank you!